Fee Fee Road & Olive Blvd. 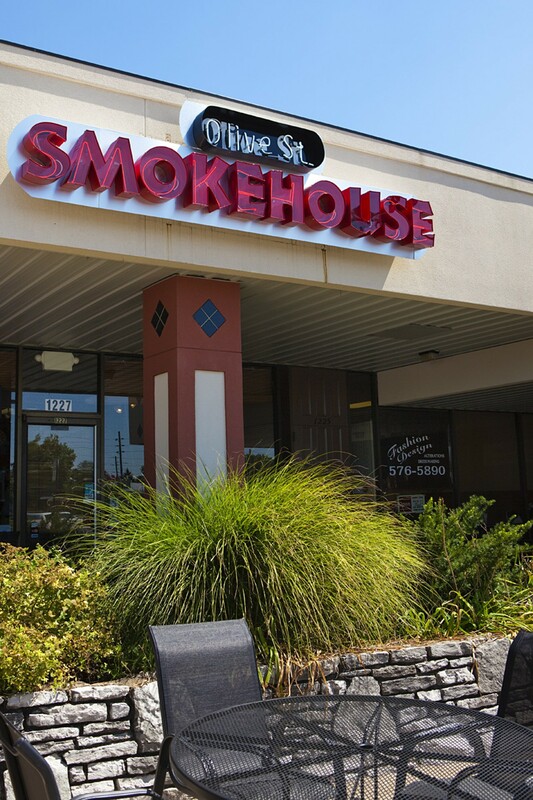 Located in a Creve Coeur strip mall, Olive Street Smoke House serves up pork steak, beef brisket, pulled pork and even portabella, for the veggie-leaning. 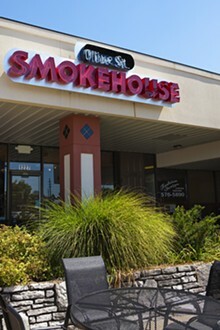 Sauces include "St. Louis Original BBQ" and "Olive Street Spicy BBQ." 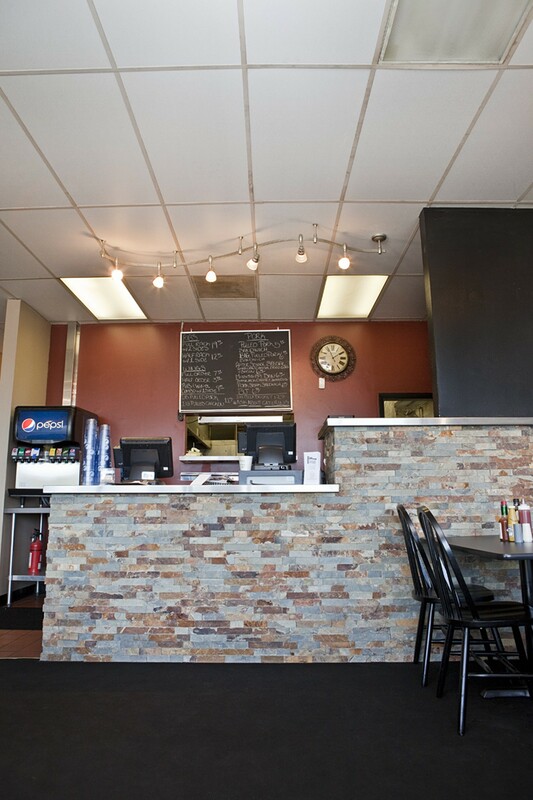 Guests order at the counter at this fast-casual joint. After enjoying their smoked meats, diners can reminisce about carnivals past and order some funnel-cake fries for dessert. romaine, tomato, onion, and mozzarella. 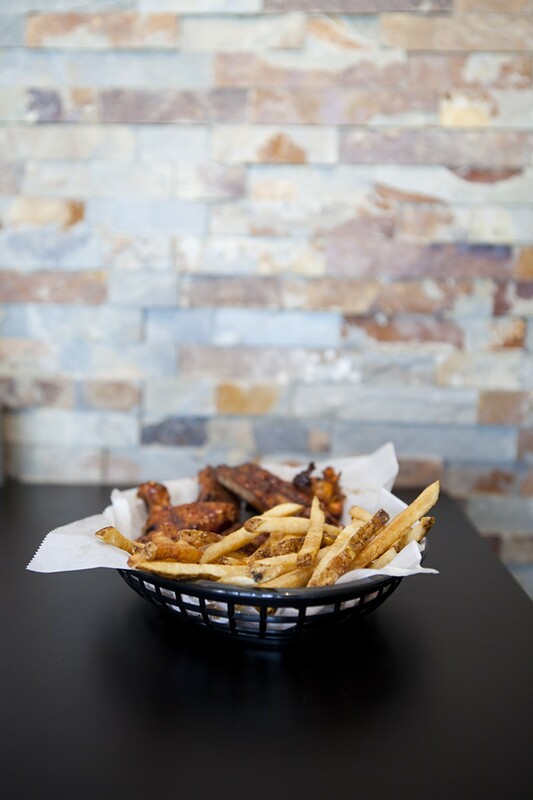 crispy tortilla chips, served with cheddar cheese, your choice of bbq meat, onions, tomatoes, and jalapenos.